Why Do I Need To See A Hygienist ? Regular visits to your dentist and Hygienist will ensure that your teeth last as long as possible. It is important to note that gum disease is very common, affecting people of all ages. Unfortunately gum disease causes damage to the bone supporting teeth and this process eventually causes the teeth to become mobile and eventually ‘fall out’ Gum disease ( periodontal disease) is the most common cause of tooth loss in adults. The good news is that gum disease can be treated by a dentist or hygienist and if treated in the early stages it’s effects can be reversed. Plaque, a mixture of food, bacteria and bacterial waste products, builds up on your teeth within minutes or hours after eating. When plaque is left on your teeth, it irritates the gums (gingival). 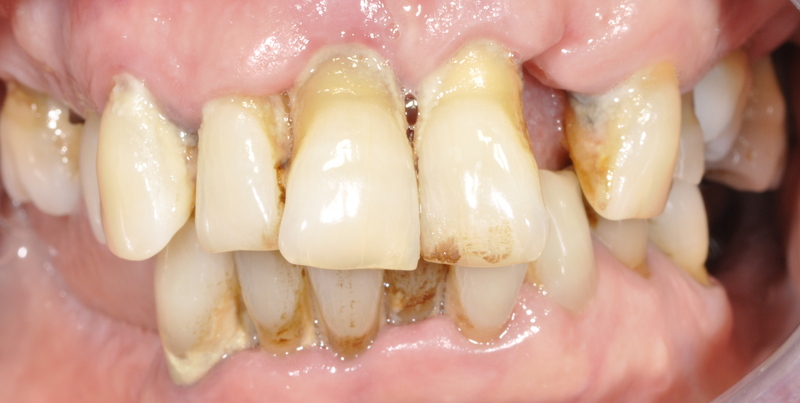 This early stage of gum disease is called gingivitis. If gingivitis is not treated, the gums begin to pull away from your teeth, leaving a little pocket around the tooth. This pocket traps plaque that can’t be reached with tooth brushing. Plaque that is not removed hardens to tartar (calculus). Plaque and tartar build up, causing further irritation. The irritation caused by plaque and tartar gradually starts to affect the bone structures around your teeth. As time goes on, the pockets get deeper and more difficult to clean, and the gum and bone recede, so that some of the root may be visible. This can make your teeth wobbly. This stage is called chronic (long-term) periodontists. After years, the teeth may fall out, or they may need to be taken out by a dentist. What makes gum disease more likely? Gum disease happens when plaque builds up because the teeth are not cleaned properly. This is more likely to happen if you find it difficult to clean your teeth properly, for example if you wear braces, have dentures or have irregularities in your teeth that you can’t reach with a toothbrush. Fillings, crowns, bridges or missing teeth can make tooth brushing more difficult and make one more susceptible to gum disease. What treatment is available ? In order to diagnose periodontal disease it is important that you visit your dentist regularly. Your dentist should carry out a periodontal examination to assess the health status of your gums. Using a periodontal probe the dentist will check the depths of the tissues around the natural teeth (periodontal pockets). 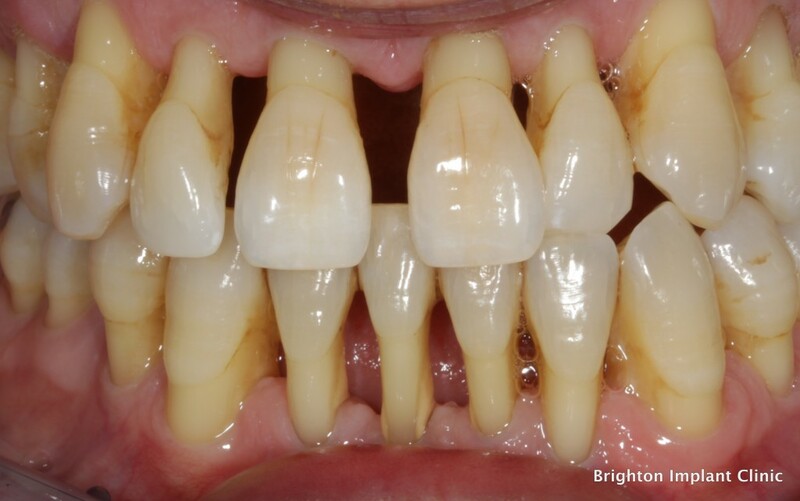 This will usually give an indication as to the severity of the periodontal problem. The deeper the pocket the more difficult it will be to clean adequately. Your Hygienist will help to clean these deep pockets and remove any plaque or calculus which has accumulated around the teeth. Keeping the teeth plaque and calculus free will ensure that the periodontal disease is reduced. A Hygienist has specific training and experience in treating and managing gum disease. After removing plaque and calculus the hygienist will ensure that you know and understand exactly how to brush your teeth properly and floss every day. For example did you know….? Gum disease is extremely common and affects 3 out of every 4 adults over the age of 35 in the UK. The main symptoms of gum disease are sore, bleeding gums during tooth brushing. Gum disease, not tooth decay, is the biggest cause of tooth loss. Only 60% of women in the UK aged 45 can claim to have all of their own teeth. Gum disease isn’t just something that happens later in life, more than half of teenagers have some form of gum disease. Smoking causes 50% of all cases of gum disease in the UK. Brighton implant clinic provides both simple and complex dental implant treatments in three clinics across Sussex for more information please feel free to Contact Brighton Implant Clinic or Call 0800 111 6623.